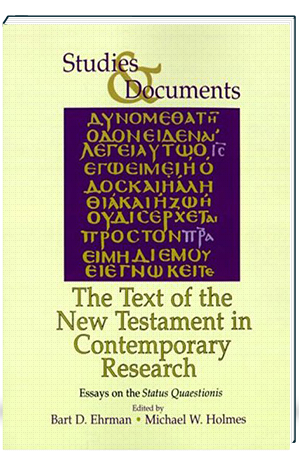 This thoroughly revised edition of Bruce M. Metzger’s classic work is the most up-to-date manual available for the textual criticism of the New Testament. The Text of the New Testament, Fourth Edition, has been invigorated by the addition of Bart D. Ehrman–author of numerous best-selling books on the New Testament–as a coauthor. 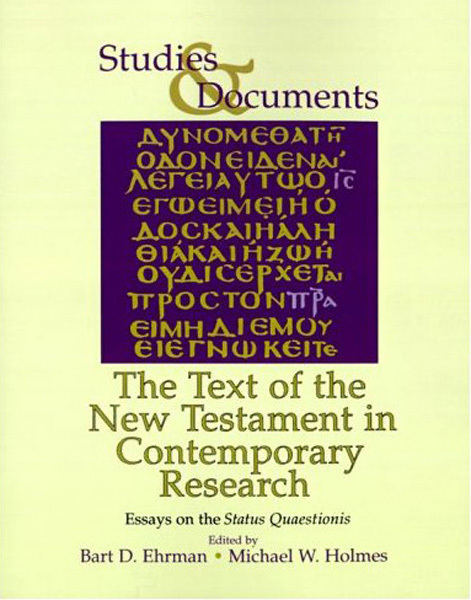 This revision brings the discussion of such important matters as the early Greek manuscripts and methods of textual criticism up to date, integrating recent research findings and approaches into the body of the text (as opposed to previous revisions, which compiled new material and notes into appendices). The authors also examine new areas of interest, including the use of computers in the collection and evaluation of manuscript evidence and the effects that social and ideological influences had upon the work of scribes. The standard text for courses in biblical studies and the history of Christianity since its first publication in 1964, The Text of the New Testament is poised to become a definitive resource for a whole new generation of students.